None of the weekend’s traffic collisions had anything to do with ongoing roadworks, Transport Minister Ian Borg said on Monday. Addressing a business breakfast on roads overhaul, Dr Borg weighed in on the roadside fatalities over the weekend, urging motorists to be responsible. “I want to stress that none of the incidents reported this weekend were linked to ongoing roadworks. My appeal is that everyone on the roads must be responsible. We risk not just our own lives, but those of other drivers on the road,” he said, adding that magisterial inquiries were establishing the facts of the cases. 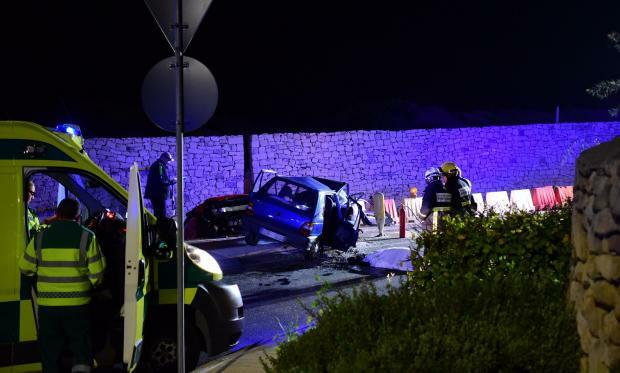 The minister was speaking hours after a horrific accident between Mosta and Mġarr claimed the lives of two women and left seven others injured. One of the cars ended up in a ditch recently dug up as part of the road-widening project in the area. Speaking to Times of Malta, Dr Borg said he wanted to be “prudent” and respect the families of those who had been injured or lost their lives. There were some, he said, who on social media had tried to link the incidents to the roadworks currently ongoing across the island. “I am informed that there was no link to the roadworks as this was a head on collision,” he said, adding that the incidents should serve as an “eye opener” for motorists about the dangers they faced on the road. He later declined to delve into further detail, citing ongoing magisterial inquiries, but added that his position was based on information passed on to him by those on site. One of the cars involved in Sunday evening's accident was carrying six people and appeared to be on the wrong side of the road, although it was not clear whether that was a result of the impact. A Ferrari sports car also ended up in the same ditch a few metres away on Saturday morning. A young woman died in Paola on Saturday night when she was hit by a truck after falling off a motorcycle late.